All healthcare professionals within Sandwell and West Birmingham Hospitals NHS Trust have access to BMJ Case Reports. BMJ Case Reports helps you to easily find clinically important information on common and rare conditions. Since launching in 2008, there are more than 17,000 case reports that are currently available from authors in more than 70 countries. Many valuable case reports don’t get published, and authors often experience the difficulty of publishing them in mainstream journals. This inspired BMJ to launch BMJ Case Reports, and has quickly become the largest single online repository of medical cases, providing an invaluable educational resource for healthcare professionals everywhere. BMJ Case Reports allows you to submit as many case submissions as you like, which are rapidly peer reviewed and all accepted articles are copy edited to ensure accuracy and consistency before publication. What are the BMJ editors looking for? Learn more now about how to get started and How to write a Case Report. Access BMJ Case Reports and start publishing your research today: casereports.bmj.com (SWBH OpenAthens account required). To submit a case report please ask the Library Service for the fellowship number for the trust. QIHD Poster Competition – Win a share of £5,000! Closing date extended now until 5th November! The month of September 2018 sees the launch of the first Quality Improvement Poster Competition which will become an annual event in the corporate calendar and is part of our welearn programme of knowledge transfer inside our organisation. To share good practice, quality initiatives, innovations, research and partnerships that have resulted in improvements for our patients, relatives and colleagues. To have this work celebrated and recognised with a chance to win a share of the £5,000 of prizes available to teams whose entries are judged as the very best by an esteemed panel. We are looking to see improvement projects and programmes written up and captured in a poster. Don’t be put off by this because help is available. Medical Illustration will provide support to design and produce the poster and you can discuss your ideas on content with the Library services team. The information sheet below gives guidance on size, style and layout for your poster. Entries are encouraged and welcomed from everyone because this is an invitation to showcase good work. So if you work with patients or provide support in non-clinical areas send in your posters. The competition is now up and running and the poster templates and content guidelines are available on Connect. Look out for the article in the September Heartbeat. Teams will be encouraged to discuss entry options at the September and October QIHDs. Closing date for poster submissions will be 26th October NOW 5th November ! Posters will be displayed in the Education Centre and the foyer of Hallam Restaurant from 19thNovember for staff to view. They will also be posted on Connect with an opportunity for staff to vote for their favourite ideas. The winners will be announced at a Poster Exhibition at the end of November. If you have never created a poster before, don’t worry, there is lots of support available. The posters will be printed by our colleagues in Medical Illustration, and they have created an easy to follow guide to creating your poster, which you can find on pages 3 to 5 of this pack. The deadline for posters to be submitted to Medical Illustration for printing is 26th October NOW 5th November, so you have plenty of time to create something. If you would like to submit a poster for this event please let us know, so that we can get an idea of how many posters we will have to exhibit. For more information or to discuss your ideas, please contact the library on swbh.library@nhs.net or ext. 3587. A survey of staff experiences of working with or parenting young people is looking for your opinions. This research study is run by the University of Birmingham exclusively for staff at Sandwell & West Birmingham Hospitals Trust. This research is endorsed by the Trust and open to all staff across all departments. The survey is completely anonymous and you can choose not to answer a question should they wish. It should take less than 10 minutes to complete. Library Survey – Win a £20 book voucher! 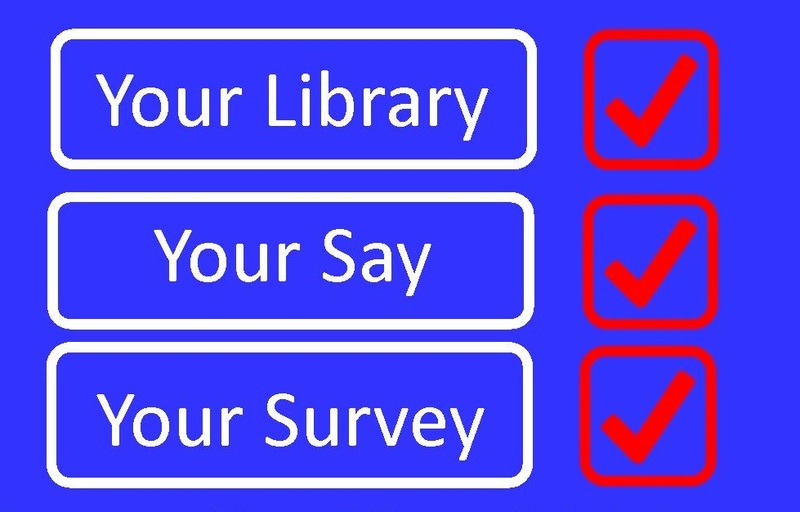 The Library Team would be grateful if you would take the time to complete our survey. The results will help inform our strategy and improve the service that we provide for you. You can also enter our prize draw to win a £20 book voucher. Paper copies can be found at and returned to the drop boxes in Sandwell Library, Education Centre and City Library, Postgraduate Education Centre. The improvement works are now complete and the newly refurbished Education Centre and Library at Sandwell Hospital are fully open!! In addition to books the library offers access to PC’s with printing facilities. We also provide articles and help with searching for audits, writing guidelines, research, case presentation, clinical decisions, writing for publication or teaching. The library is staffed from 8.30am till 4.30pm Monday to Friday but is accessible 24/7 with a staff fob. The library team hopes that you will visit and like the improved study environment. You can now request your literature searches and articles from the same website www.basedoc.co.uk . Register on the website using your library card number and your account will be created and confirmed by the library. Login and select New Literature Search to ask the library to find journal articles, reports or statistics on your behalf. There is no charge for this service and the library aims to complete all searches within 3 working days.